With boughs of holly, garlands of greenery, mistletoe hung above the door and snow dusting the front steps, the spirit of wintertime has arrived in every floral shop across the city. 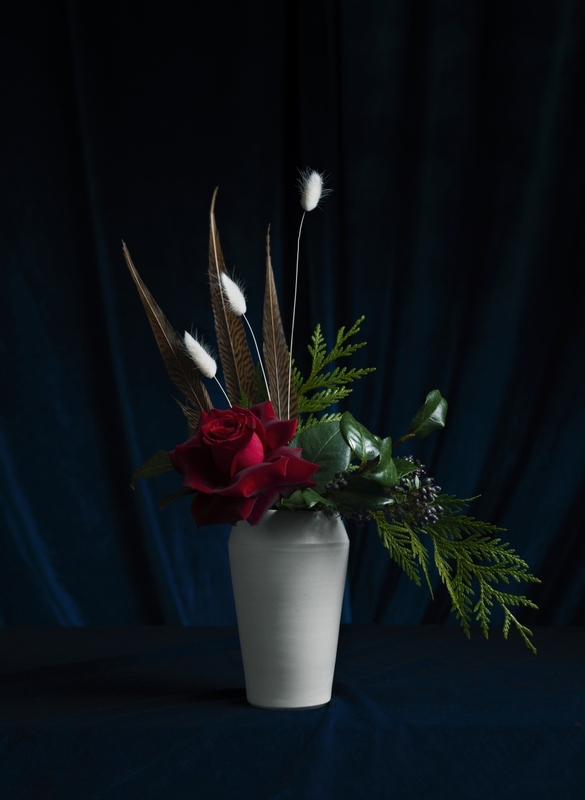 In search of timeless floral arrangements that last the entire winter season, we spoke with the experts at Calgary-based Foxglove Studio for their recommendations on use of colour, decor accents and greenery. Foxglove Studio is an artistic floral studio that is known for their romantic and wild arrangements for weddings, events and everyday gifts. Owned by Tasha Barrie and Lauren Yuriko Plante, accompanied by artist Colby Jones, everyone in the studio has a background in visual arts and are all graduates of the Alberta College of Art and Design. 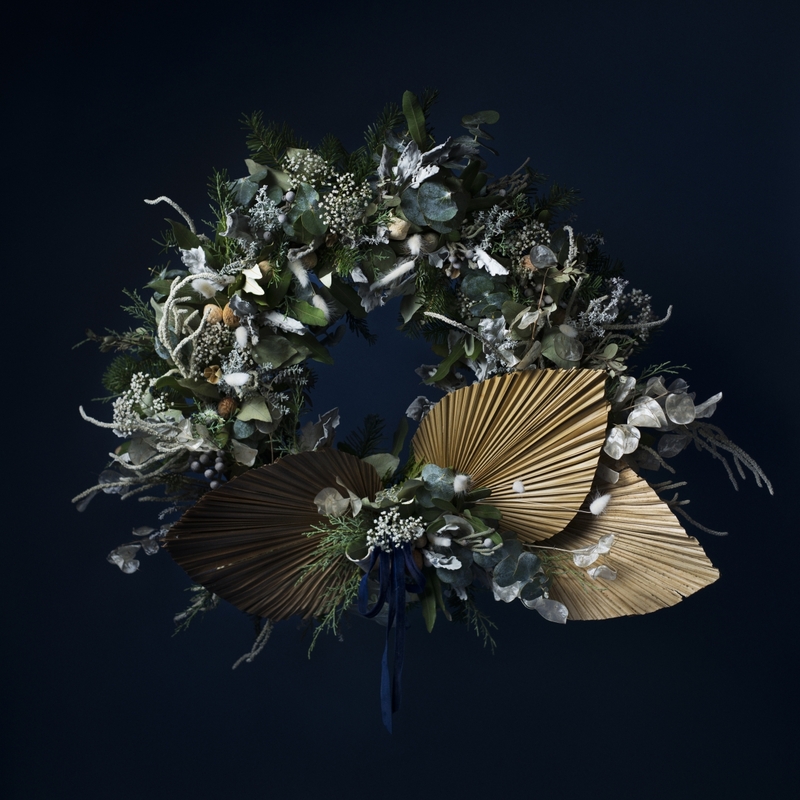 Beyond creating beautiful and expressive arrangements, they use their photography skills to capture their work; moody photographs that emulate the style of 18th century Baroque still-life paintings. Foxglove Studio tends to stick to subtle warm color palettes like combinations of bronze, gold, orange, burgundy and even navy. In terms of ribbon, they use silk that is plant-dyed inhouse, velvet or double satin. Overall, the Foxglove Studio signature winter decor style is refined, natural and European-inspired. 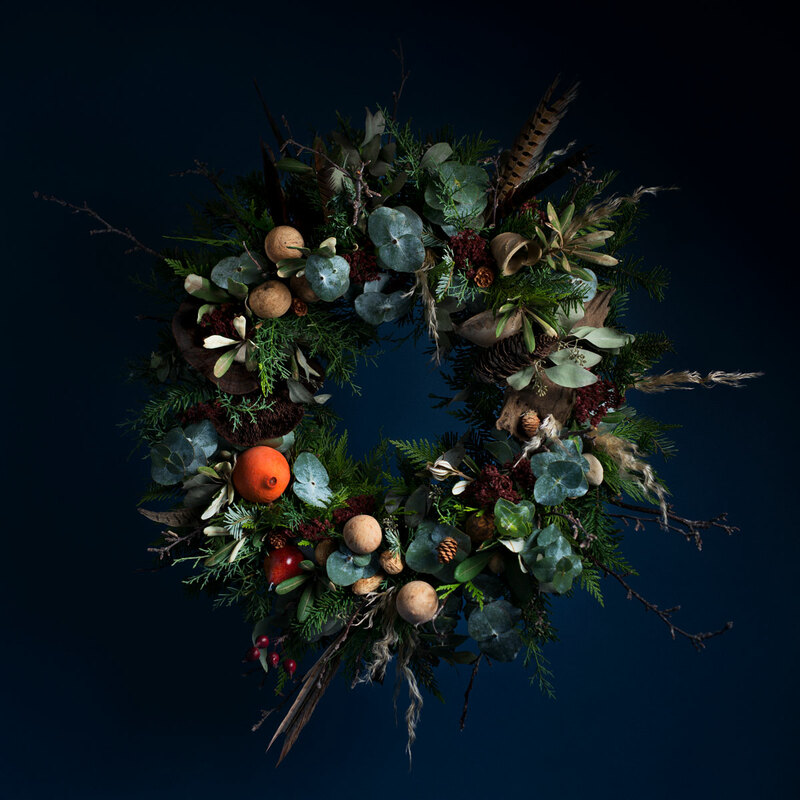 For outdoor arrangements, Foxglove Studio recommends focusing on long lasting winter greenery such as fir, cedar, pine but note that it’s equally important to consider elements that will dry nicely overtime such as magnolia leaves, eucalyptus, or permanent natural items like huck, dogwood, or pinecones. Hardier types of foliage like boxwood, carolina sapphire and hemlock can insure the arrangements are long-lasting, unique and textural. Remember that Calgary’s cold winter temperatures should preserve your wintergreens outdoors for the entire season. For indoor decor items, use greenery that dries well but does not shed, like eucalyptus varieties, cedar and carolina sapphire. Pine needles shed, so they advise against using it. Using elements like candles, dried fruit, pine cones, chestnuts and acorns can add warmth and fragrance to any indoor designs. “We also advocate for the use of fresh flowers as you can simply remove them and replace them as needed, while leaving the greens and dried elements looking beautiful and intact,” shares Yuriko-Plante. A simple way to transition your wreath design from Christmas to winter is by changing out the colour of your bow. For example, swap your bright red bow for a bronze one. Dried elements can be used year after year when stored properly or easily be composted. Foxglove Studio advises that if you do want to use fake, plastic or synthetic glitter pieces then it is important to invest in or find second-hand, items that you’ll plan to use long term, year after year to lessen negative environmental impacts.